In September 2012 our small family started our GAPS-journey with one purpose: to stop our 11 year old daughter´s chronical stomach pain. Until then, she was haunted by it for 7 years. At that point, I had realized, that her pain wasn´t due to illness. No – her digestive system was simply poisoned, because of invasion of dysbiotic gut microbes plus absense of probiotic ones. But most important, it became clear to me, that I could actually do something about it myself by following the GAPS protocol! Although there was some information out there in English, especially in Dr Natasha´s fabulous yellow book, I had no back up in my own language. Meaning, I needed an inspiring cookbook with GAPS-friendly recipes. With photoes just as delicious and mouthwatering as in any other great cookbook. Every day, especially in the beginning, I had the feeling, that I had to invent the wheel in order to create meals without starch and sugar. I thought, that this task would be even worse for people with much worse GAPS-conditions than our. 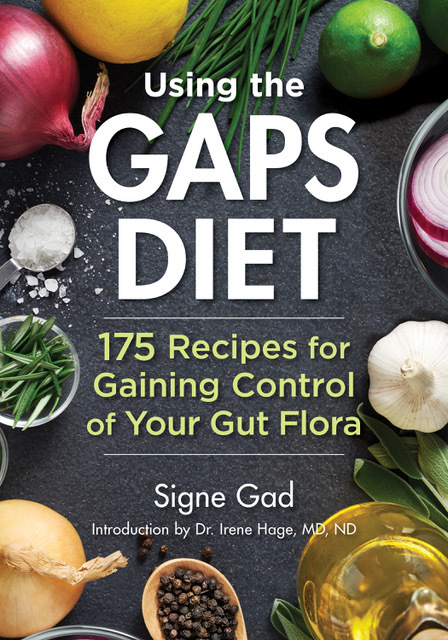 This is why I began writing a GAPS cookbook – initially for a Danish audience. Now it´s here, it turned out, that it is worth publishing in other languages as well. An English version will be on the market in June 2018. I am pleased to say, that my book is approved by Dr Natasha Campbell-McBride and the English version will also have a foreword by our Danish functional doctor Irene Hage. Besides blogging about GAPS-related subjects and being a GAPS-kitchen-coach, I am teaching the Alexander Technique incl. voice/speech and I am also a voice over professional.